The M&D seminar organized a round table on the emergent vernacular. 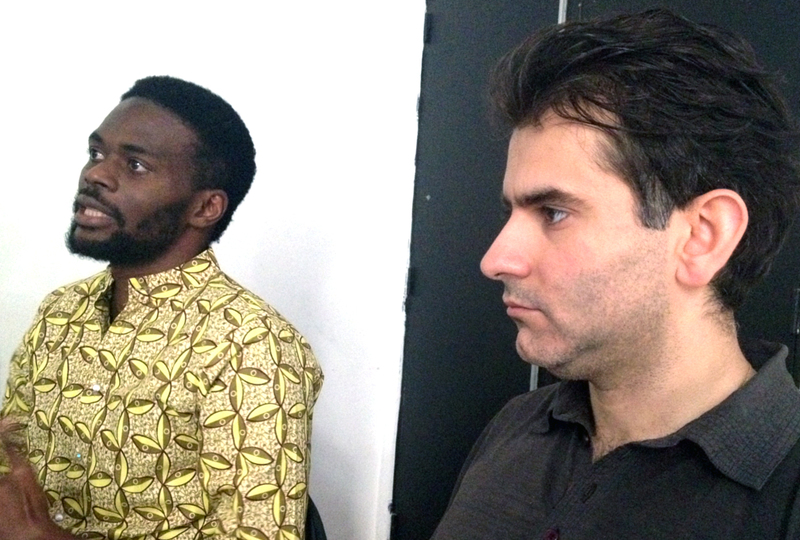 Behrang Fakharian, vernacular architecture expert and Sénamé Koffi A., architect and anthropologist, co-founder of the association L’Africaine d’Architecture and the Woelab, the first makerspace in Togo, have shared their respective experiences to explore the hypothesis that vernacular architecture and “open-source” design have comparable modes of production such as the peer-to-peer transmission of knowledge or the creation of “architecture without architectes”. The Makers and Development seminar is a semester 6 course taught by Yasmine Abbas, Professeur Associé at l’Ecole Spéciale d’Architecture. People of the seminar MAKE, a semester 5 course taught by Marie Aquilino at l’ESA, joined the round table. 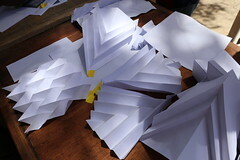 The M&D and MAKE seminars are organized as a vertical offering to explore in depth issues of making in complex contexts. We filmed the conference and we hope to share it with you very soon! Meanwhile, find some readings/viewings on the neo-vernacular here and here. ← M&D STUDENTS WINS THE PRESELECTION TO THE 2014 NASA CHALLENGE!